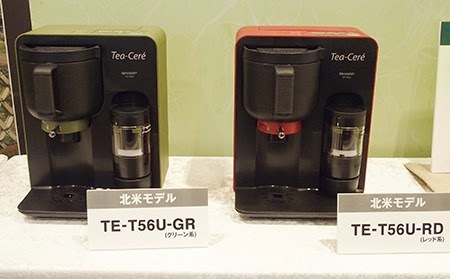 I posted about an appliance named “Ocha (tea)-Presso” (by SHARP CORPORATION). The idea of the machine comes from Japanese tea ceremony. It can grind tea leaves into powder and whisk them, making smooth tea, tea latte and so on. Actually, it seems to be doing well so far, and they just released two new models. The company has also announced they are planning to put on the market in the US and Canada around this summer. The name is supposed to be “Tea-Cere”, which is named after “tea ceremony”. At this point, I don’t have it, and I am not planning to buy it. So I cannot tell you how good or bad it is. Sorry!